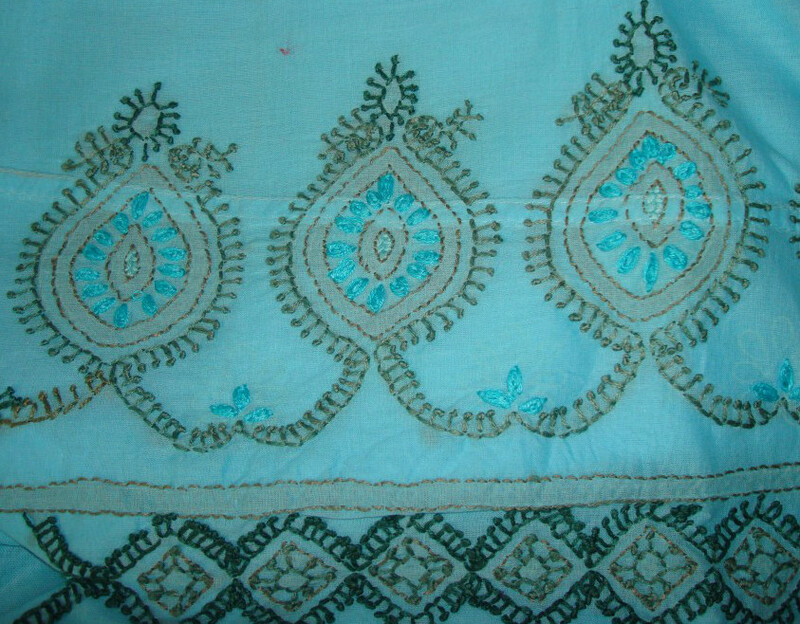 The chikan work embroidery is common in Indian state of Uttarpradesh. 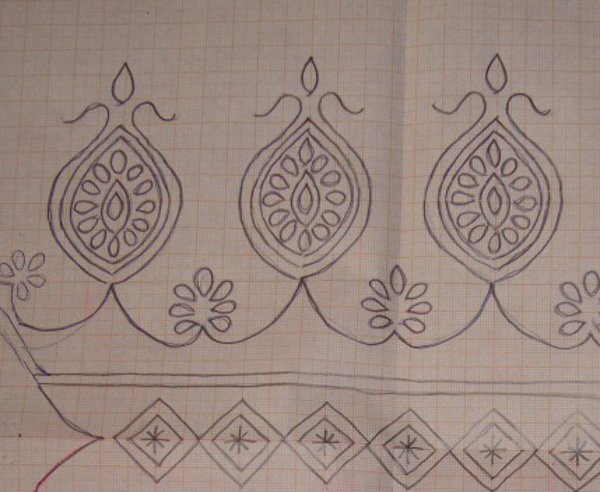 The embroidery is predominantly shadow work, but other stitches are also used. The chikan work is done on sarees, tunics, salwar suits, dupattas … .Pastel colours and white fabrics in soft cotton, chiffon, silk, crepe are commonly used for this work. 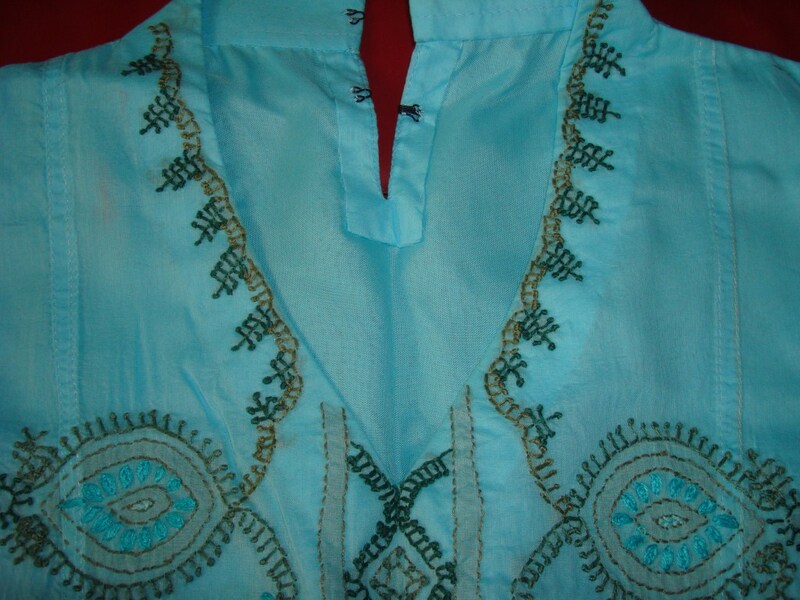 I wanted to explore some simple stitches in chikan work on this tunic. 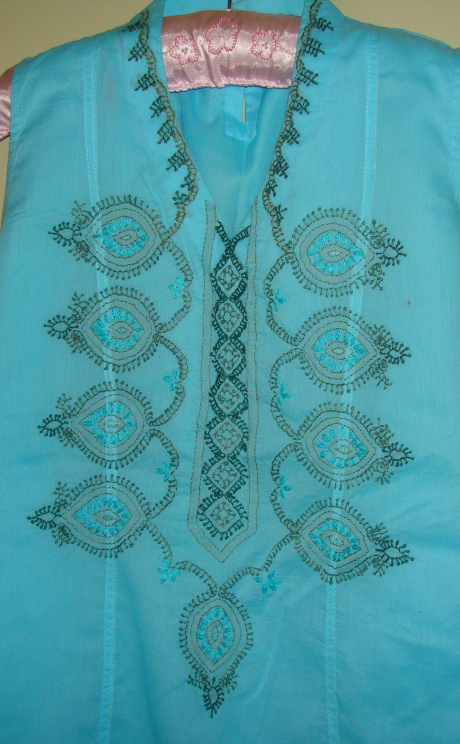 The fabric was light blue soft cotton. Pistil stitch was the main stitch, other stitches were-back stitch, herringbone filling [shadow work], berry stitch. 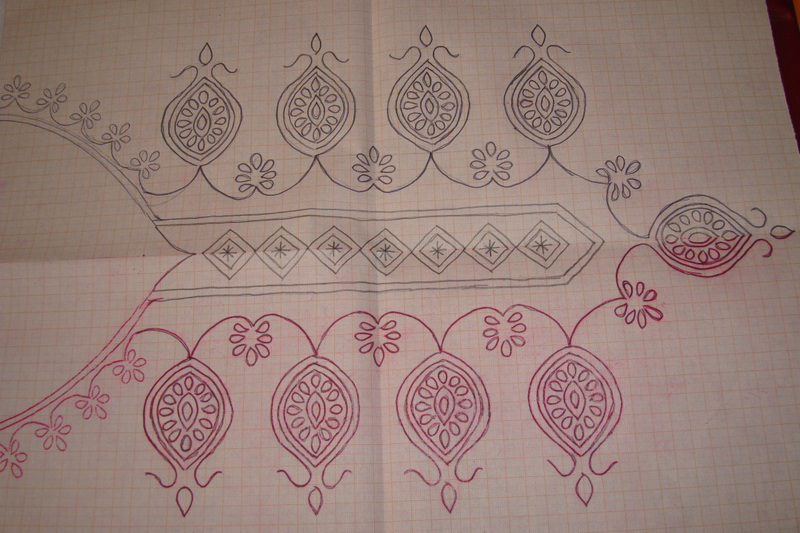 The motif pattern, this can be used as a single motif too.